Time management is the process of planning and exercising control of time spent on activities, especially to increase efficiency and productivity. Every aspect of business activities requires planning, timing has to undergo same process of planning, every phone call, meetings, production, selling and distribution need to be timely in order to avoid losses. The planning of business time requires careful allocation and prompt action. The most effective people around the globe allocate their time on the bases of priority using urgency and importance as top factors for consideration. When an entrepreneur attends to issues and activities in their order of importance and urgency, he will be timely and effective in the delivery of his responsibilities and duties. People adopt different reminder approaches, while some use their phone reminders others prefer cycling dates on their calendars and writing the intended activity there. It depends on what works for an individual, reminders help us remember our daily schedules and properly manage our time. There are numerous distractions within the business environment. Television programmes, irrelevant discussions, games and outings. It is very important to be able to spot distractions and avoid them during business time. 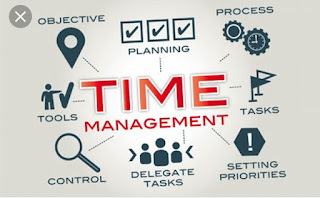 Starting and ending every activity at the due time allocated to them have always helped in the effective time management. Start activities and end them when the times are up to avoid lateness or not properly conducting the next one. A wristwatch will help keep you abreast with time, a good reminder of one’s schedules, appointment and meetings.